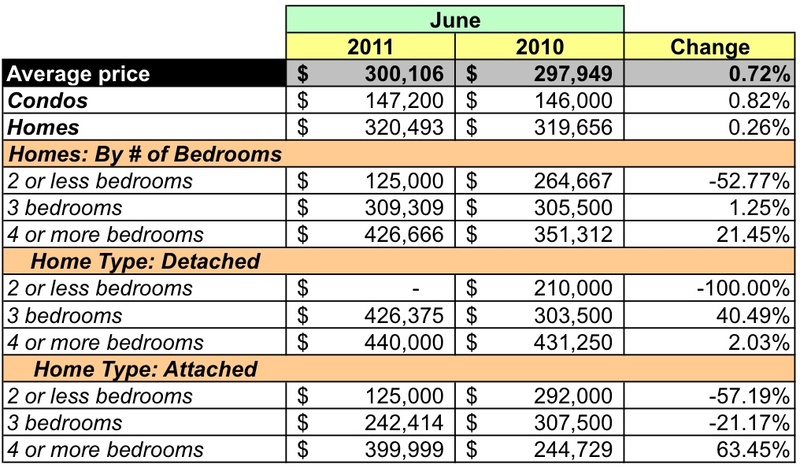 Today I look at June's closed sales for zip code 20017 using data provided by MRIS and RBI. Tucked away in northeast DC, 20017 is home to the Brookland, Michigan Park, and North Michigan Park neighborhoods, Catholic University, and the Howard University School of Divinity. Aggregate dollar volume was up 7.02% over the same month in 2010. Unit sales were 6.25% higher. The average price for a home was flat, up a mere 0.72%, but the median price was 5.61% higher. Houses accounted for about 90% of units sold. Three units were sold through a bank-mediated sale, with a median price of 180,000. The average price for condos was $147,200, up 0.82%. Houses fared no better, with average prices up 0.26% to $320,493. All house sales were priced between $100-500K. 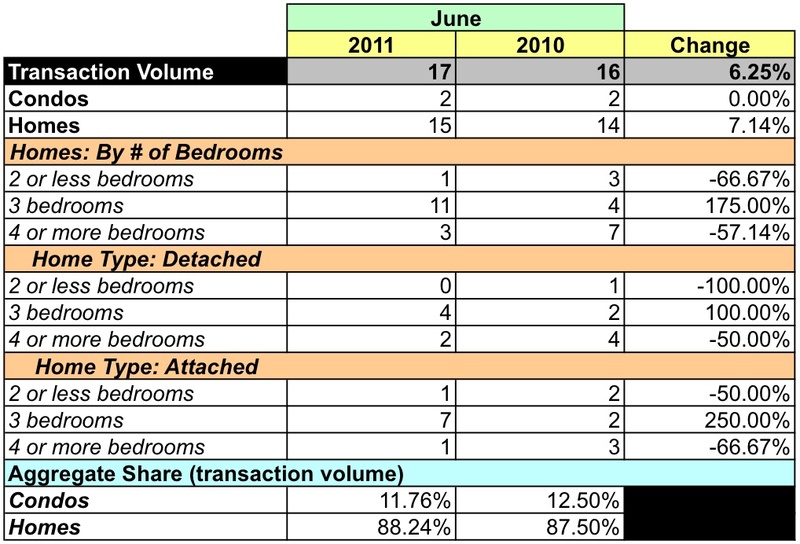 There were 48 active listings during June, 10 condos and 38 houses. All of the condos were listed below $300K, the houses were listed between $150K-800K. 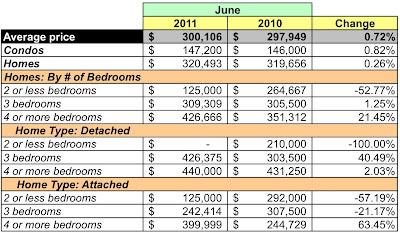 During June, 16 homes went under contract and another eight went under contingent contracts. 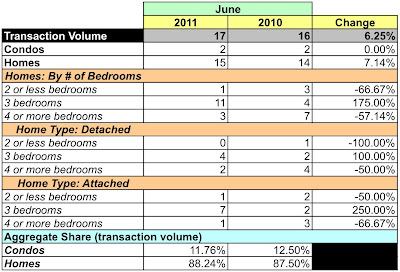 Overall, June's sales pace was the highest since June 2007. According to MRIS, properties in 20017 sold for 91.6% of the listing price. At June's sales rate, there's 5 months supply of condos and a 2.53 months supply of houses. 20017's dollar volume was 1.34% of the District's June dollar volume. Its average price was 47.66% lower than the District average and its median price was 26.44% lower. Its unit sales were 2.56% of all units sold. The data show that zip code 20017 is not a high volume zip code; during the past twelve months it's averaged 11 house and condo sales per month. But, it offers housing at prices significantly below the District average and June's sales activity show that there's a lot of buyer interest in the area.